Tom Givone's renovated New York farmhouse features a crisp bahtroom. See the rest of the house here. Photo by Mark Mahaney. 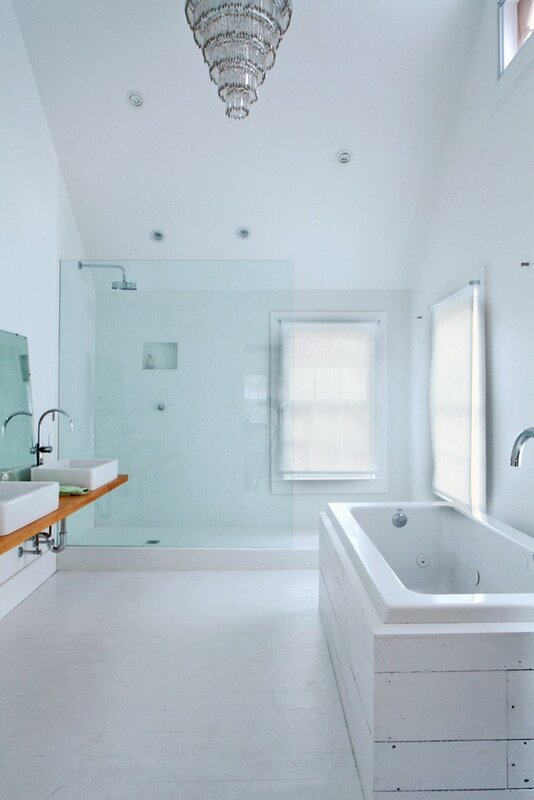 In this modern renovation of a 200-year-old farmhouse, Tom Givone installed a tub in the master bath from Produits Neptune's Zen series, then clad it in planks salvaged from the demolition of the original farmhouse. Contrasting the contemporary fixtures is a 19th-century French chandelier. Photo by Mark Mahaney.